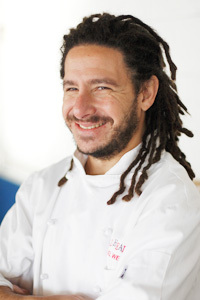 Michael Weinstein is a veteran Dallas chef. He has cooked in the kitchens at The Grape, Aurora, and Tramontana. He has left the grind of professional cooking behind and plans to turn the chips and salsa market upside down. His new line, Dread Head Chef Dessert Chips and Sweet Salsas, encourages you to enjoy this Tex-Mex tradition after your meal instead of before. His products include strawberry-mango and pineapple-banana-macadamia nut salsas, and the corn chips are flavored with cinnamon and chocolate. Our favorite combo? Chocolate corn chips dipped into a bowl of Blue Bell ice cream covered with a dollop of strawberry-mango salsa (dreadheadchef.com). Also available at Jimmy’s Food Store, Veritas Wine Room, Four Seasons market at the Firewheel Town Center in Garland (fourseasonsmarkets.com).